Gordon A. 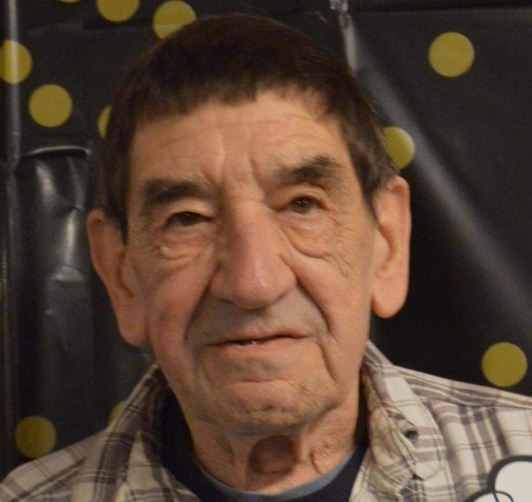 "Jake" Cammett, Jr.
Gordon Armand (Jake) Cammett, Jr., 70, of Kanc Rec Road passed away Thursday, March 21, 2019 at Lakes Region General Hospital in Laconia, NH. Born on December 13, 1948 at Exeter Hospital, he was the son of Gordon A. and Helen (Greenwood) Cammett, Sr.
Jake was a resident of Raymond for 41 years, graduating from Raymond High School Class of 1967. He attended vocational school as a chef and played baseball and soccer. His soccer teams won 3 State Championships in 1964, 1965, and 1966, winning 39 games consecutively. In earlier years, he was employed with Camp Se Sa Ma for 13 years as the cook. He owned and operated Liars Paradise Store from 1971-1975 and worked as a cook in the North Country at the Chalet and Beacon for 8 years. He worked at Burndy’s in Lincoln for over 21 years. His hobbies and interest includes all things sports, his cat Tig, gardening, spending time and visiting with the Loves of his Life granddaughter Bianca and grandson John Bird, III, as well as the ocean and the annual seafood festival. He leaves his daughter Vanessa Bird and her husband John of Methuen, MA; his grand-children Bianca Bird and John Bird III who were the love of his life; sisters Dianne Knowles and husband Bruce and Linda Simes and husband Douglas all of Epping, NH; brother in law Robert LaFond of Bartlett, NH; his best friend Tig the Cat; as well as many nieces, nephews, and cousins. Jake thought of the patrons and staff of Brittney’s and CJ’s and the employees of Burndy’s all as family to him. Besides his parents, he is pre-deceased by his wife Julie Cammett, a son Jake Cammett, and two sisters: Kathleen LaFond and Susan Cammett. Calling hours will be held Sunday, March 24 from 12 Noon to 2:00pm at Fournier-Hale Funeral Home, 144 Main Street, North Woodstock, NH followed by a gathering at Brittney’s/CJ’s in Lincoln. Calling hours will be held again Tuesday, March 26 from 5:00pm to 7:00pm at the Brewitt Funeral Home, 2 Epping Street, Raymond, NH, followed by a service at 7:00pm. Burial will be private at the Old Pine Grove Cemetery in Raymond. Online guestbooks at www.fournier-hale.com or www.brewittfuneralhome.com.